I really enjoy Flower Boy Next Door but it’s starting to take shape and remind me of my morning coffee. I always look forward to it, it perks me up with its deliciousness, but it’s not something that lingers or compels me to discuss it. The leads Enrique and Dok Mi are the heart and soul of this drama but everything else floats around them like uninteresting white noise. 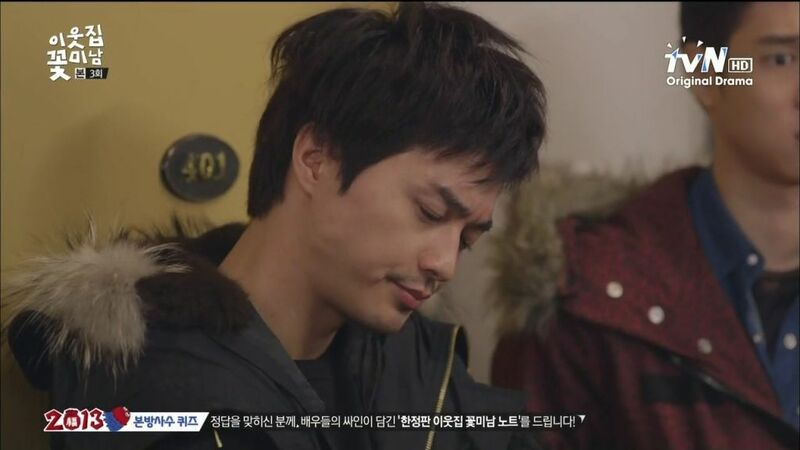 Yes, even Kim Ji Hoon’s second male lead Jin Rok, with his grouchy attitude and not-so-secret concern for Dok Mi. This drama hasn’t much fodder for discussion because it’s about the small moments where two very different people collide and start to interact outside their comfort zone. Everything else is just ancillary set up, whether it’s the proximity of the two apartment buildings, Dok Mi’s flower boy neighbors, Jin Rok’s concealed interest in Dok Mi, Seo Young’s feelings for Tae Joon, or even Dok Mi’s frightening encounter with her former school tormenting friend. All of that becomes things that happen around Dok Mi and Enrique, but what propels this story forward is how Dok Mi and Enrique change around each other in the midst of all these things happening. This drama isn’t zippy or breezy in the slightest, its humor is understated and its emotional draw whisper light rather than sledgehammer strong. It has a J-dorama vibe in dealing with Dok Mi crawling out of her self-imposed apartment prison, but with the more typical K-drama touches such as second lead crushes and the return of a former nemesis. The drama leaves me with a bittersweet taste on my tongue and a reminder that I want to have another bite tomorrow. It’s not addicting drama crack but nevertheless has me gently happy to sample more and more. Dok Mi faints in Enrique’s arms after encountering Do Hwi and wakes up in Tae Joon’s apartment. She looks out the window and sees her own apartment clearly across the street. She tries to leave but Enrique asks her to stay since he needs to do something hard soon and he asks her to help by being present. Tae Joon comes home and Dok Mi comes face-to-face with her crush. Enrique introduces her as his ahjumma friend who lives across the street and Tae Joon admonishes him since she doesn’t look like an ahjumma at all. Tae Joon gives his name and Dok Mi tries valiantly to introduce herself and stumbles over her name until she finally gets out “Dok Go Mi”. 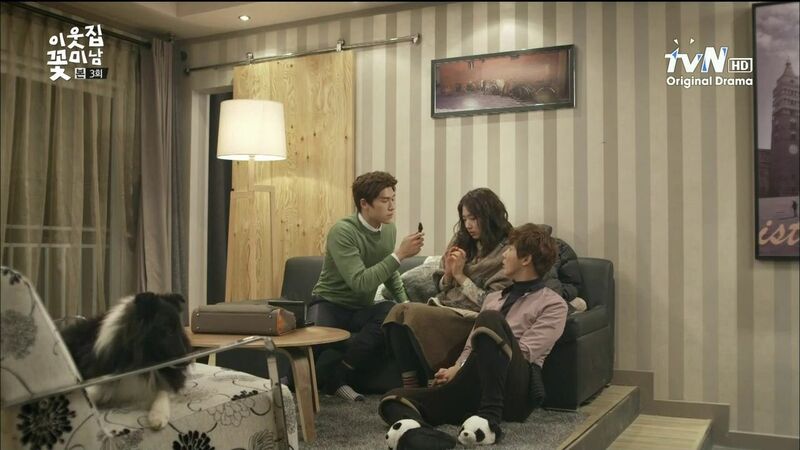 Tae Joon examines Dok Mi on the sofa while Enrique watches and tells him to check thoroughly since she turned stark white and then keeled over. The doorbell rings and its Seo Young arriving for dinner bearing a bouquet of flowers and all excited. She calls Enrique by his nickname and asks if Tae Joon oppa is here? 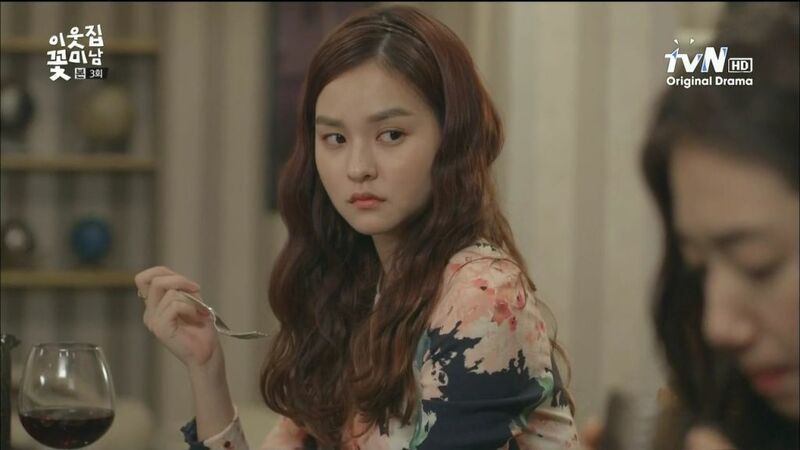 Seo Young sees Tae Joon on the sofa with Dok Mi and misunderstands the situation, huffing over their angrily. She apologizes once Enrique explains that Dok Mi is his friend and fainted so Tae Joon is examining her. Dok Mi tries to leave again but Seo Young wants to make amends and asks her to please stay. When Dok Mi tries to leave anyways, Enrique pulls her close and whispers again his plea for her to stay and help him, making them seem quite close with this sudden proximity. Jin Rok is outside recalling Enrique taking Dok Mi away after she fainted. He’s got a stalker of his own in Do Hwi, still dressed like a furry flamingo and she manages to break her own shoe heel in order to drum up and excuse to get Jin Rok to help her. Jin Rok is joined by Dong Hoon and Watanabe and the guys head out to grab a bit to eat, chatting and teaching Watanabe more Korean. 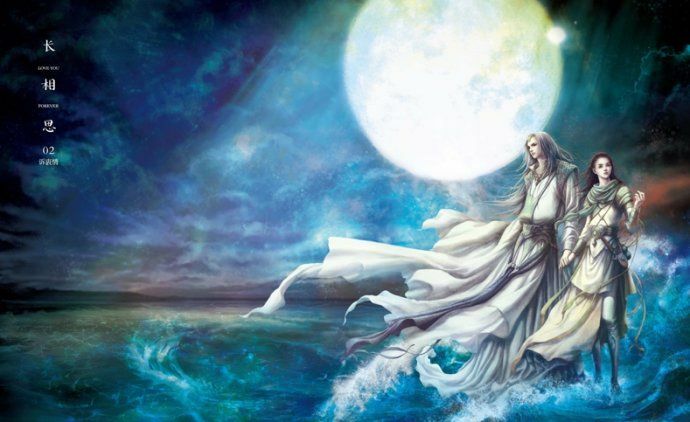 Do Hwi asks for help since she has a broken heel and lost her cell phone. Dong Hoon lends her his phone and she pretends to call and says her phone is turned off. She claims to have broken her hell while saving a cat which leads Dong Hoon admiring her kindness while Jin Rok is still uninterested. Do Hwi has then walk her to a shoe repair store and along the way she gets close to Jin Rok and keeps tripping on purpose so she has an excuse to steady herself on him. Back to the dinner for first loves and unrequited crushes, with Enrique, Seo Young, Tae Joon, and Dok Mi sitting around a table eating pasta. Seo Young compliments Enrique’s cooking but doesn’t want him to return to Spain because then Tae Joon will go back to not seeing her again. She wonders if Dok Mi is always this shy and how she knows Enrique. He claims their meeting is rather like a series of drama tropes. Tae Joon finally speaks up and chides Seo Young for being rude to Dok Mi, asking what she’s been doing all year. Enrique points out that Tae Joon knew she’s been here all year, she came for him, yet he’s never seen her when he could. Seo Young shushes Enrique and then apologizes to Dok Mi. Dong Hoon is pointing out to Jin Rok that the woman they helped earlier was dressed to the nines in all the latest fashion, except her shoes were outdated. Which means she intended to break it and use that as a lure to get close to Jin Rok. Too bad Jin Rok is not interested. Dong Hoon then wonders about Dok Mi and Enrique and whether those two are falling for each other. Jin Rok is annoyed and tells Dong Hoon to stop speculating about others. Watanabe brings over food to the table. As Enrique and Dok Mi clean up after dinner, he reveals that he’s planning to return to Spain in a few months. Tae Joon wants Seo Young to go back with him but she refuses, asking if he doesn’t know why she is here? Dok Mi breaks a plate hearing this and leans down to pick it up. 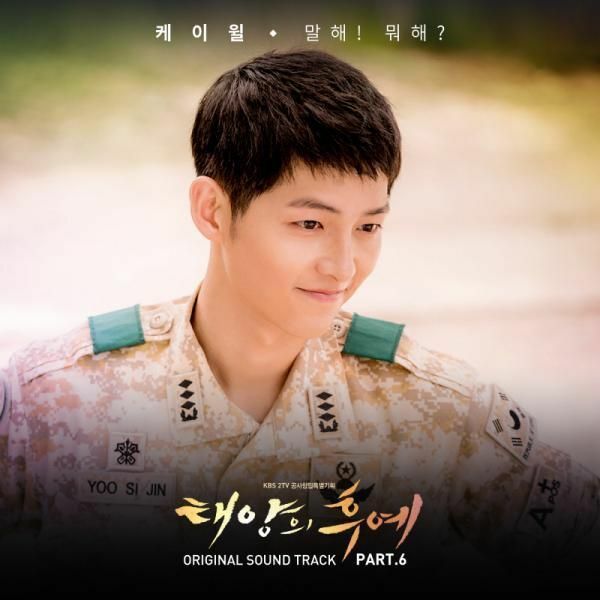 Enrique stops her and tells Seo Young and Tae Joon to talk before leaving with Dok Mi. Dong Hoon and Jin Rok find out Watanabe is in Korea to learn to cook. When it comes time to pay, Dong Hoon tries to duck out but Jin Rok says he should pay since he has money. Dong Hoon claims he doesn’t and tells Jin Rok that he’s going out late and not to lock the dead bolt on him. Dok Mi and Enrique walk out into the freezing cold. When he offers to put on her coat, she does it herself. He knows she likes Tae Joon but now he’s ended her unrequited crush as well as his ten-year long first love. 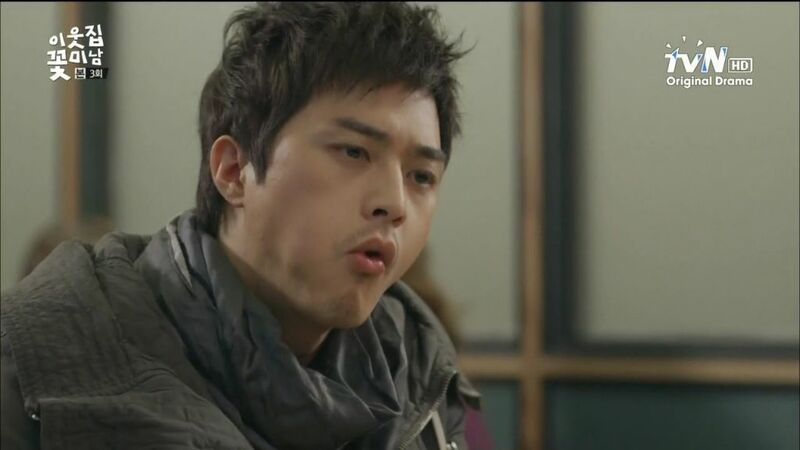 Jin Rok sees Enrique and Dok Mi shuffle past and he quickly averts his face. Enrique wants to go on a vacation for this occasion and grabs Dok Mi’s phone to get her number so they can meet tomorrow at 9 am. He wants to be fine with this but, like Dok Mi’s thinks, he’s not okay with it. He’ll arrange everything and she just needs to show up. All this talk of ending things triggers Dok Mi’s flashback to high school when she was standing on the ledge of the roof of her high school, seemingly contemplating suicide. Jin Rok follows Dok Mi into the elevator and is so unobtrusive she doesn’t notice him until later. She gets a call from Do Hwi asking if this is her phone number? Dok Mi tenses and says this is not Dok Mi’s number and she doesn’t live in this apartment building. Do Hwi wants to know how much the rent is but Dok Mi ends the call. Elsewhere, Dong Hoon is picking up a girl at a club. The security guard gets a flyer made by the older lady advertising Watanabe’s cooking classes. Jin Rok wonders whether Dok Mi is in shock after her interaction with Enrique. Enrique is playing Zombie Soccer in a PC-bang but he’s silently crying and has to wipe away his hears. 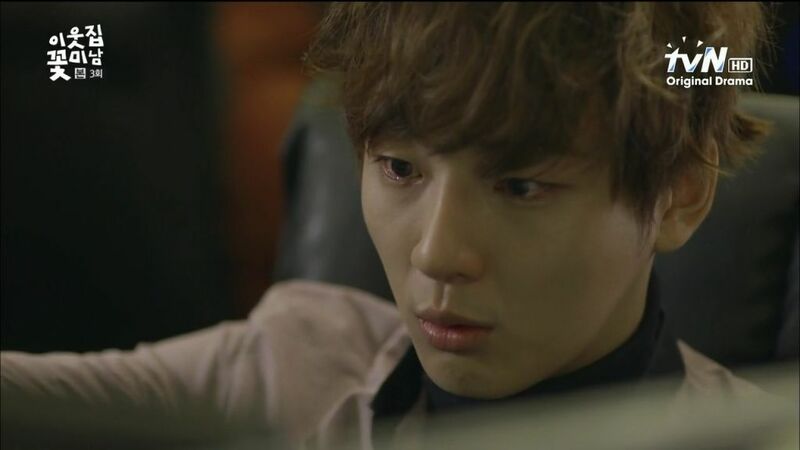 Dok Mi peers out the window and sees Tae Joon and Seo Young talking, ending with her hugging him. She notices Enrique slowly walking back to the apartment. Enrique waits outside the door, unable to walk in. Tae Joon ends the hug and walks Seo Young out and Enrique goes home. She wonders if he’s cold? Dok Mi types on her computer about how happiness is fleeting and ephemeral like blowing bubbles which pops when she tries to catch it, therefore she doesn’t even dare try. Morning arrives and the delivery man leaves Dok Mi’s carton of milk outside. Then we see a second person walk over and put a post it drawing on it. Enrique and Dok Mi are standing outside and he happily says they are off on the trip. Dok Mi gets up her courage and yells back that they don’t know each other to the point of taking trips together! Suddenly she wakes up and it was just her dream. Dok Mi tries to send various excuses via text to Enrique about why she can’t go on the trip with him. Enrique is preparing for the trip when he gets a text from Dok Mi that her grandmother is sick so she can’t go with him. He borrows Tae Joon’s car and heads out. Jin Rok and Dong Hoon are awoken by a guy here to evict them for non-payment of rent. Enrique rides up with the security guard who has been told to change the locks on Jin Rok’s unit. To stave off the eviction Jin Rok needs to pay some rent and he gets Dong Hoon to contribute while Watanabe kindly offers to lend them money. It’s still not enough and Dok Mi is listening by her door and she opens it to lend Jin Rok the final amount he needs. Enrique arrives and knocks on Dok Mi’s door and says they need to be off now so hurry up. Jin Rok worries about Dok Mi and threatens to report Enrique for loitering outside private property. Do Hwi toddles up to the building to sign a lease to move in, her friends tagging along though Do Hwi yells at them not to copy her fashion style. Dok Mi finally comes out and Enrique drags her off, but not before calling Jin Rok “hyung” and wishing him luck on his rent problem. 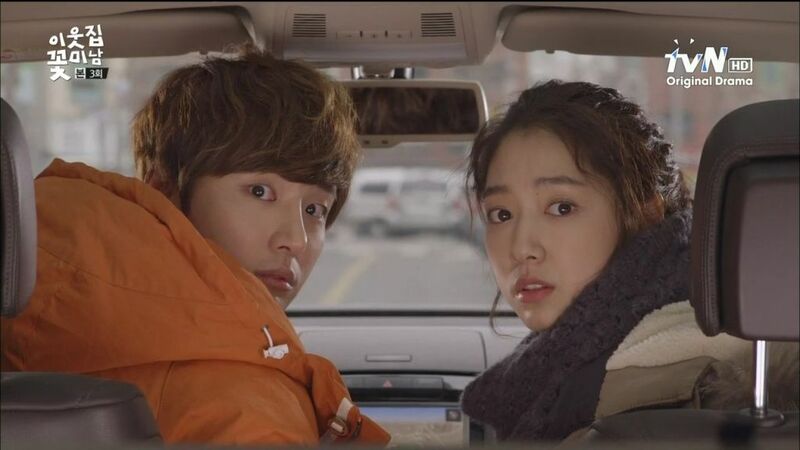 In the car, Dok Mi wonders where this super happy guy randomly came from and barged into her life? Enrique wants her to type in her grandmother’s address and he will take her there. Jin Rok decides to act and rushes down the stairs after them. He sees the car pulling away and he loudly screams for them to stop. Enrique stops the car and he and Dok Mi turn around simultaneously and look back. While all the characters in FBND feel very scripted, from too-perfect snooze-inducing Tae Joon to tag-along roommate-buddy Dong Hoon to tacky bimbo Do Hwi, the seamless complementary nature of withdrawn Dok Mi and intrusive Enrique makes their every interaction utterly enchanting and totally heartwarming to watch. 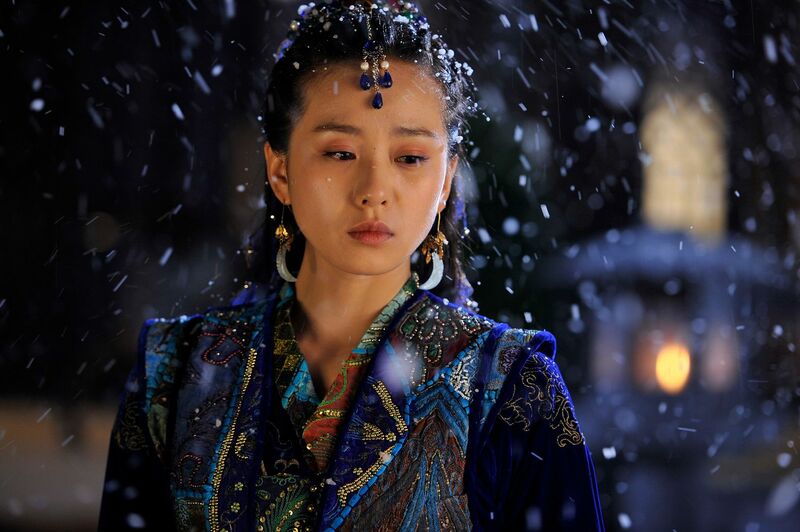 I don’t see Dok Mi as needing a protector like Jin Rok, she needs a ball of energy like Enrique to breach her defenses and make her come back to life. She’s not a defenseless heroine, she’s a hurt girl who decided not to become a functioning woman and hide herself away from the real world. I like how both are them are caring introspective people who happen to deal with pain in different ways, both together they have much to learn from each other. I think even if FBND doesn’t really expand the narrative into more interesting areas with respect to all the main characters, the drama will still keep me invested in its journey because I’m already so taken with the OTP ship. I’m hoping that Jin Rok’s role gets fleshed out more (he must have a backstory with Dok Mi or at least let us see why he’s so into her) though his friendship with Dong Hoon (and really the whole Flower Boy angle) is pretty flat if you ask me. It’s yet early to render any prediction about how this drama will unfold but so far it’s pretty pleasing to the eye and the heart. tnx so much ms. koala for the early recap! this is my coffee too before going to the office! I just want more of DOn Hoon and Jin Rok’s editor. I LOVE HER! you and me both. Those panda eyes and her extreme investment in the webtoon storylines! She’s a scene stealer! I wub her. If only I could do a two-for-one trade of Tae Snore and Bitchy Young for the hilarious editor in terms of screentime…. Yes. She is so intense and amazing! “Full of love. Love of miracle!” 😀 I love her too! She’s hilarious. Sending a HUGE HUG your way for the recap! Thanks so much. 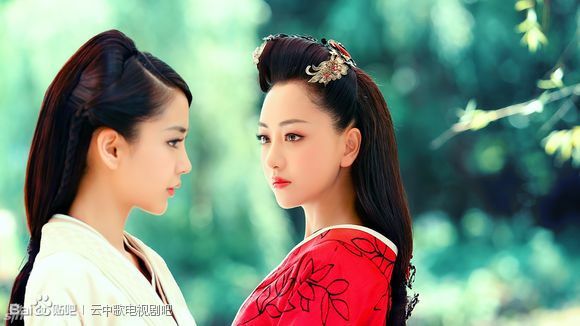 Since my previous raging-love for Alice in Cheong~ is waning (writer really needs to bring back the *zany* and cut to the chase with the secrets) …I have needed a new drama outlet. THIS show is it. I actually LIKE the understated *tone* of the characters and interactions. It makes a welcome departure from the same-ol-same-ol that the 3 major networks keep churning out. …am endlessly tickled at your (semi?) loathing of the somnambulant Doctor, Tae Joon. He really is a piece of furniture, isn’t he? A well upholstered one, but none the less, he could be propped in a corner at this point and have the same impact. (feel sorry for the actor) Maybe he’ll develop feelings for DokMi and send Enrique into fits of crazy-speed-talking….could be fun. actress’name, but it seems like I’ve seen her do this same role before. I’ll differ with you on Jin Rok (but admittedly it comes from a VERY shallow place) I find actor JiHoon to be…yum, yum, yummy. He can brood and lurk all he wants, just as long as he’s on screen. This show isn’t Fluffy, but it’s not exacly dark either — I am enjoying that it rides-the-rails somewhere between romance and character arc angst. I’ll be looking forward to episode 4 recap. THANK YOU in advance, you’re awesome. Furry flamingo was in “My girlfriend is a Gumiho” she was basically the same charecter. On Kim Ji Hoon, completely agree! 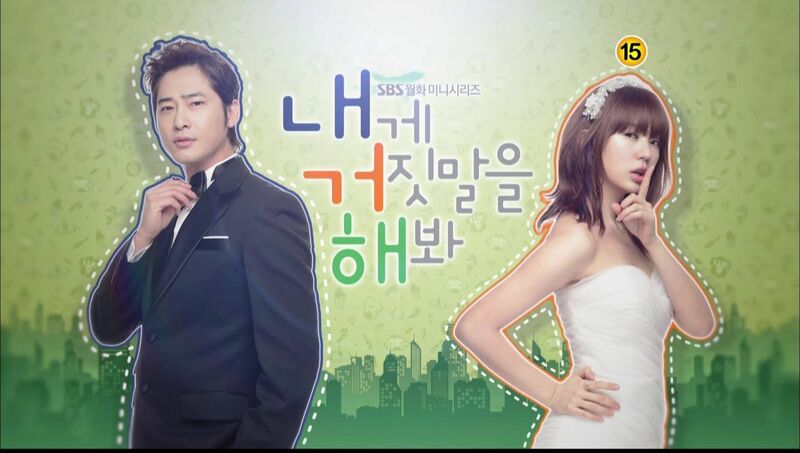 I spend my whole weekend watching “love and Marrige” just to look at him. FF was also in Bachelor’s Veg. Store as the 2nd F Lead who (of course) was pursuing the male lead while being pursued by the 2nd Male Lead. Can’t remember any of their names! Thanks so much for the recap. I really hate having to wait for the subs. From your recap…Dong Hoon surprised me by his insight into Do Hwi, though. I thought he would be the slightly dumb friend but he has a bit of an edge to him. Thanks. Thanks for the speedy recap Ms. Koala! I just have a really random question. I’ve seen people Spell Jin Rak as well as Jin Rok… So is it Rak or Rok? Thanks for the recap! I’m sad that Viki isn’t subbing FBND since Drama Fever takes a long time to upload subs. In any case, I can’t wait to watch this episode! I’m not in love with this show yet, but I find it to be a charming, easy watch. Looking forward to seeing where it goes! Thanks for your thoughts on this show. I usually just lurk here but wanted to thank you for the screenshot of the post it note! If I’m seeing that post it note right, does it not remind us of her encounter with DR when she was sitting on the bench as the DR walked by or am I reading too much into it? The written Korean says: Happy day. Not sure if it’s a day in the past or it’s wishing her a happy day…I think it would be a great twist if the DR had had a thing for her all this time too and had been hiding it. It would just be too predictable for Jin Rok to be leaving those notes. 🙂 Just my 2 cents. Loving this drama though. 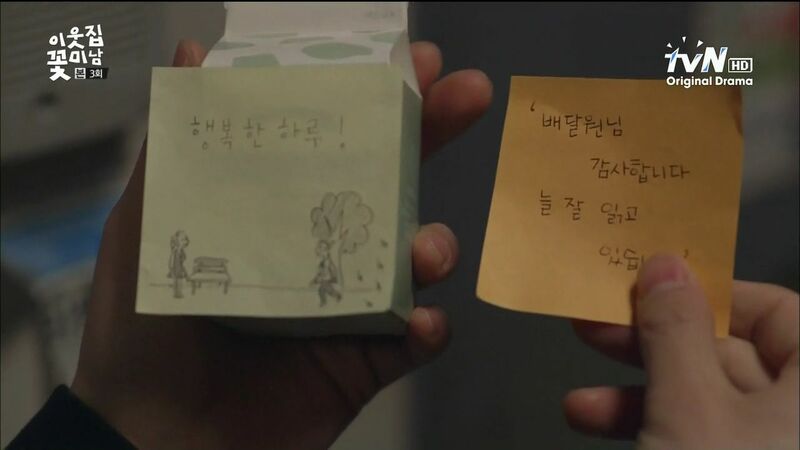 I’m bummed as I re-watched the scene with the post it note again and it appears that the milk note guy came out of the door next to Dok Mi’s so I guess it is Jin Rok. Oh well. I still think it would have been more interesting if it had been Tae Joon! The drama definitely has a different vibe from what the previews sold – less upbeat, more anguish, a bit melancholic – so I understand why some may feel disappointed, but it’s turning out to be just my cup of tea. I’m LOVING it! I would enjoy side characters’ development, but am way too invested in the OTP to really care 😀 I adore DM, and how awesome is Enrique?! It’s admirable how he’s actually doing the right thing and actively trying to get over someone who doesn’t feel the same way about him. He’s just genuinely a nice guy (Sorry, Maru, I loved you, but you were a jerk, kekeke). 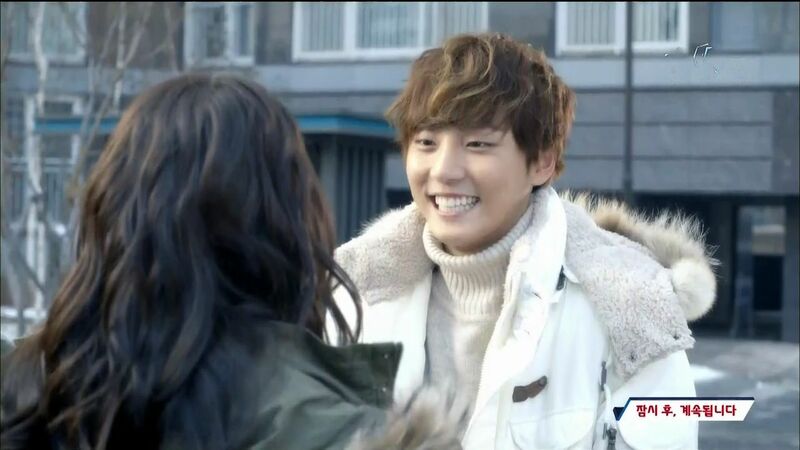 And lastly: how annoying is SY?! I know you like the guy, but that doesn’t give you the right to be a brat, offend someone you don’t even know AND hurt your friend’s feelings! >.< Now I hope TJ is the Milk Guy!! !